Langdon sat up in his empty bed and tried to clear his mind. 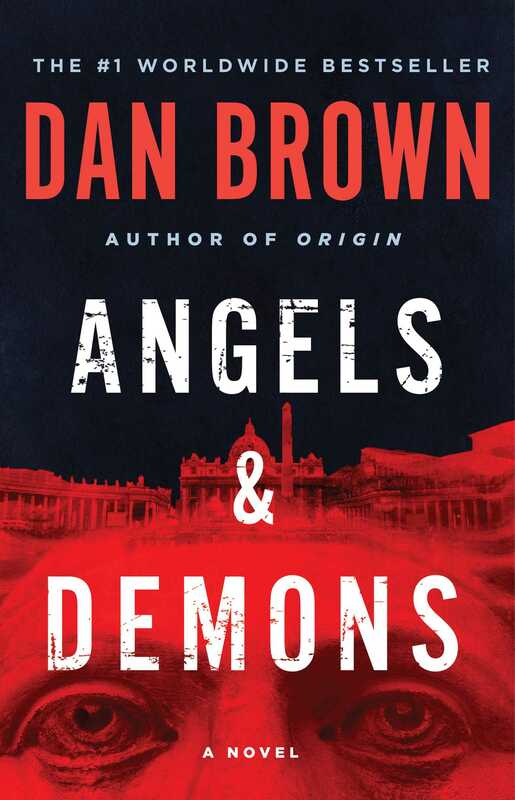 "This...is Robert Langdon." He squinted at his digital clock. It was 5:18 A.M.
"You're a professor of religious iconology at Harvard University. You've written three books on symbology and -- "
Now Langdon was getting mad. "I'm sorry, but I really -- "
"If you leave immediately, you can be here by -- "
Robert Langdon wandered barefoot through his deserted Massachusetts Victorian home and nursed his ritual insomnia remedy -- a mug of steaming Nestlé's Quik. The April moon filtered through the bay windows and played on the oriental carpets. Langdon's colleagues often joked that his place looked more like an anthropology museum than a home. His shelves were packed with religious artifacts from around the world -- an ekuaba from Ghana, a gold cross from Spain, a cycladic idol from the Aegean, and even a rare woven boccus from Borneo, a young warrior's symbol of perpetual youth. As Langdon sat on his brass Maharishi's chest and savored the warmth of the chocolate, the bay window caught his reflection. The image was distorted and pale...like a ghost. An aging ghost, he thought, cruelly reminded that his youthful spirit was living in a mortal shell. Although not overly handsome in a classical sense, the forty-five-year-old Langdon had what his female colleagues referred to as an "erudite" appeal -- wisps of gray in his thick brown hair, probing blue eyes, an arrestingly deep voice, and the strong, carefree smile of a collegiate athlete. A varsity diver in prep school and college, Langdon still had the body of a swimmer, a toned, six-foot physique that he vigilantly maintained with fifty laps a day in the university pool. Langdon's friends had always viewed him as a bit of an enigma -- a man caught between centuries. On weekends he could be seen lounging on the quad in blue jeans, discussing computer graphics or religious history with students; other times he could be spotted in his Harris tweed and paisley vest, photographed in the pages of upscale art magazines at museum openings where he had been asked to lecture. Although a tough teacher and strict disciplinarian, Langdon was the first to embrace what he hailed as the "lost art of good clean fun." He relished recreation with an infectious fanaticism that had earned him a fraternal acceptance among his students. His campus nickname -- "The Dolphin" -- was a reference both to his affable nature and his legendary ability to dive into a pool and outmaneuver the entire opposing squad in a water polo match. The image on the page was that of a human corpse. The body had been stripped naked, and its head had been twisted, facing completely backward. On the victim's chest was a terrible burn. The man had been branded...imprinted with a single word. It was a word Langdon knew well. Very well. He stared at the ornate lettering in disbelief. Stunned, Langdon collapsed in a chair. He sat a moment in utter bewilderment. Gradually, his eyes were drawn to the blinking red light on his fax machine. Whoever had sent this fax was still on the line...waiting to talk. Langdon gazed at the blinking light a long time.